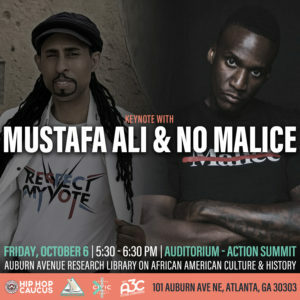 The Action Summit at A3C powered by Hip Hop Caucus is two days of dedicated programming at the Auburn Avenue Research Library in the center of the festival stages and events in Atlanta. 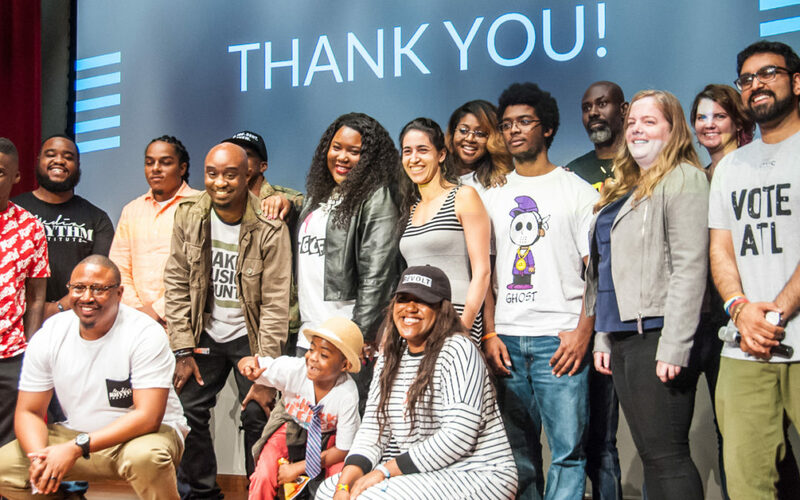 The programing includes a series of events and workshops featuring activists, academics, and artists that explore how to best address social justice challenges through community driven solutions and develop actionable initiatives for young people. Three major tracks for the Action Summit are Police Reform, Getting Out the Youth Vote, and Climate Change and Environmental Justice. 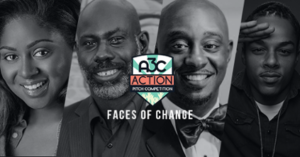 As part of the Action Summit, Hip Hop Caucus joined forces with the Center for Civic Innovation for the A3C Action Pitch National Competition to find, support, and invest in new, innovative ideas that use hip-hop culture as a vehicle to advance social justice and civic engagement. 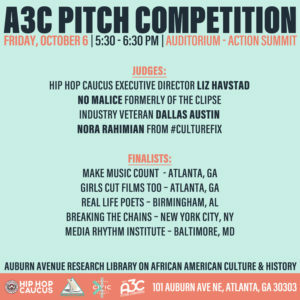 Five finalists will do their final pitches in front of judges and a national audience at the A3C Action Summit this evening. Finalists are competing for $10,000 in cash and business development training. More information on the pitch competition can be found here. For more information about Hip Hop Caucus at A3C, please visit www.HipHopCaucus.org/A3C and www.a3cfestival.com/action-summit. You can also continue the conversation with us on social media, @HipHopCaucus on everything.